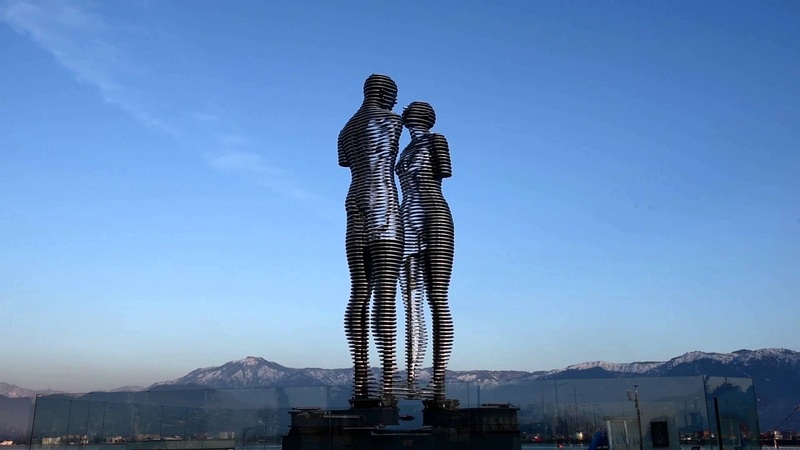 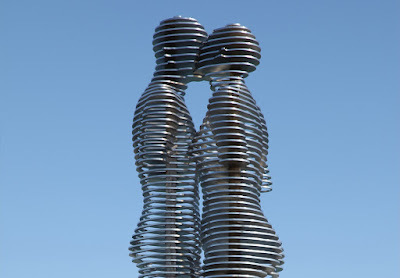 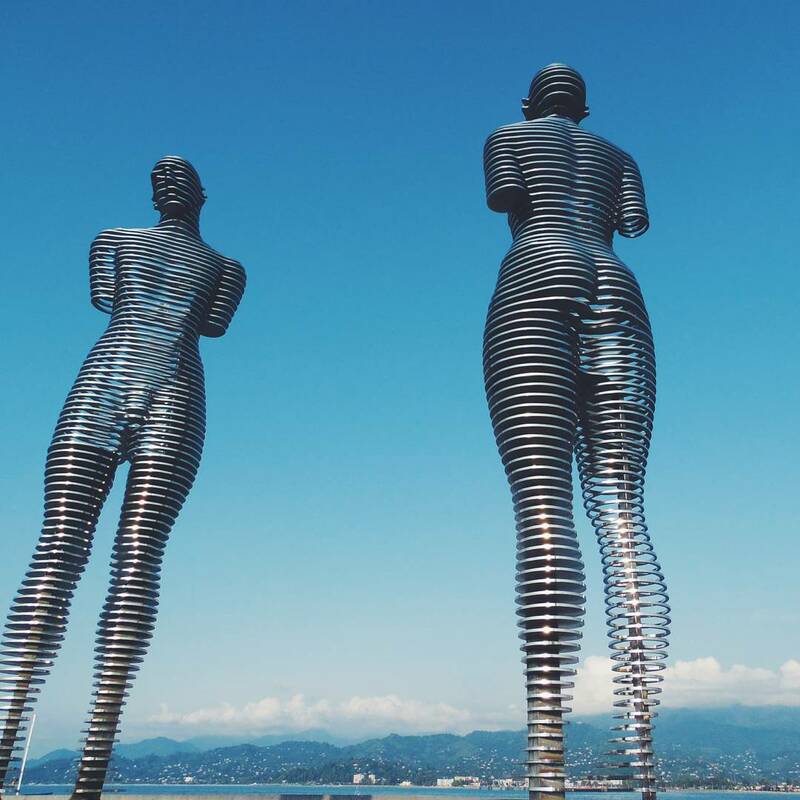 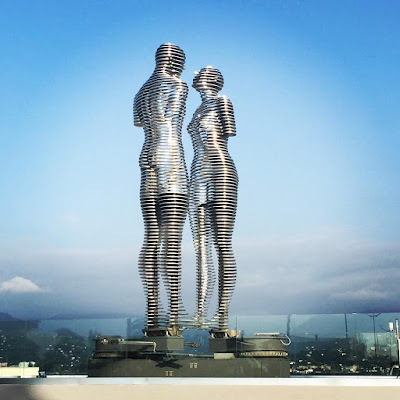 “Man and Woman” is a 8 meter (26 foot) tall moving steel sculpture by Georgian sculptor Tamara Kvesitadze. 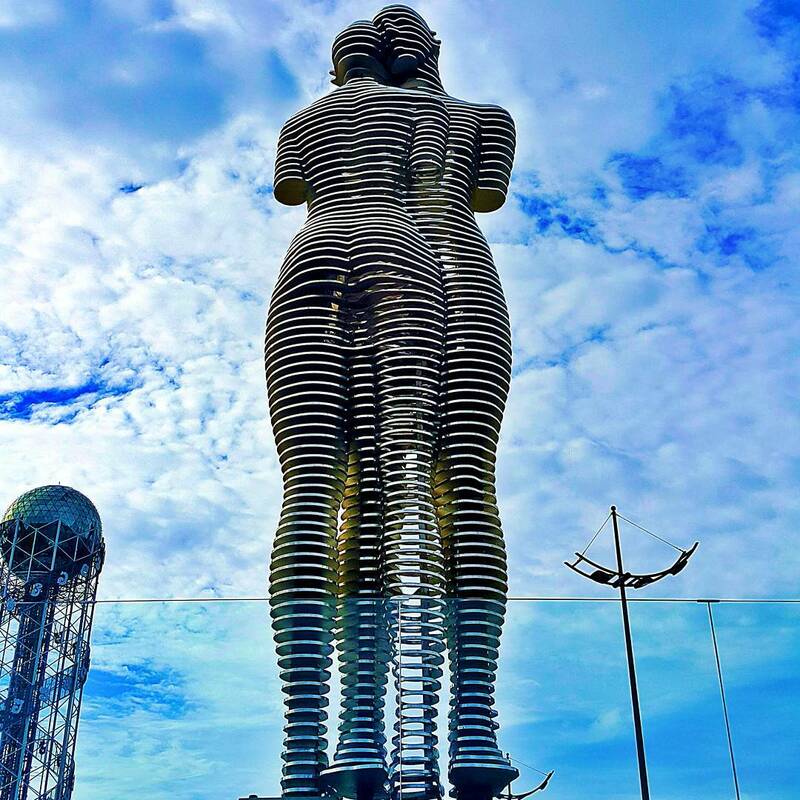 Located in Batumi, Georgia, the tragic lovers begin to move every night at 7 p.m. 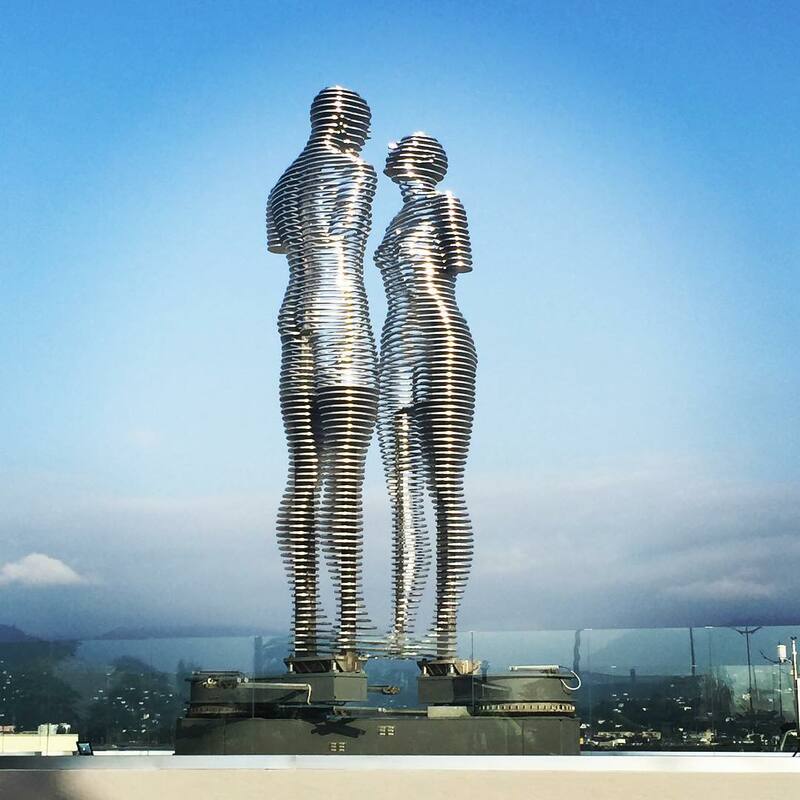 The statues are inspired by a love story between a Muslim boy and a Georgian princess who come from different religious backgrounds.